For crafters and casual sewers, basic sewing machines are fine. They handle simply projects. But what should you do when you need something a little more durable? The answer is heavy duty sewing machines. Heavy duty machine is built for handling projects involving heavier fabrics. With so many different price ranges, how can you tell which machine will work and which won’t? Well, we’ve got one efficient heavy duty machine that is worth buying. Indeed, this post is about the Singer 4432. 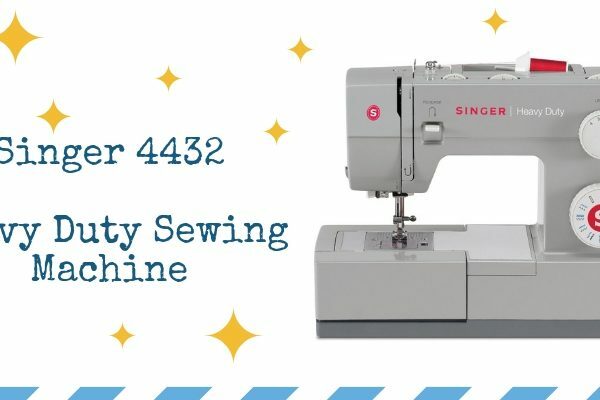 Let’s take a look at Singer 4432 heavy duty machine and see if it is worth your money or not. 7 Where To Buy Singer 4432? Singer 4432 comes with a heavy duty metal frame. It is wrapped in a plastic case that increases its durability. The machine also has an overall light gray body and is marked with red and white accents. This machine has small footprints as compared to other machines. The style of this machine is no doubt very classic, and the muted grey color suits it. Four feet; an all-purpose foot used for every basic project. A zipper foot is present for piping, cording, and zippers. Meanwhile, there’s a buttonhole foot for ribbon slots and buttonholes. There’s also a button-sewing foot. Singer was found in 1851. It is, in fact, considered as one of the most recognizable and trusted brands of sewing machines today. Even today, they are constantly trying to bring new technology and are breaking barriers with their machines. In fact, Singer aims to help beginners achieve their dreams. For this reason, they put videos and helpful tutorials on threading, presser feet training and installing a bobbin. These videos make it easy for users to start sewing. They also provide you with social media support so that you can connect directly with their staff. With their support, you can connect with expert crafters from all over the world. In addition, you can learn new tips and tricks from them and implement it while you sew. 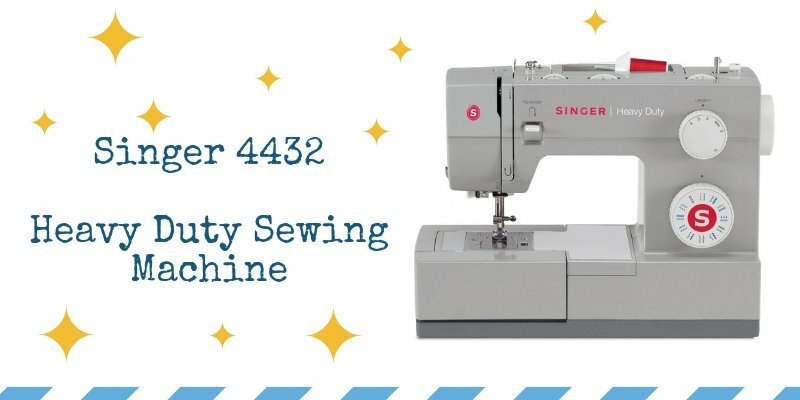 Singer 4432 warranty covers 25 years of the head of the sewing machine. It also covers 5 years on its light, motor, wiring, switches, assembly, speed control, and any other electrical component. Furthermore, all adjustments such as attachments, bulbs, rings, belts, etc. come with a one-year warranty only. This warranty helps in covering any flaws in craftsmanship and manufacturing. If you find any errors, simply contact Singer, and they will help in repairing your machine. They may even replace it if it is deemed defective. Singer service centers are available all over the country. They are certified contractors that focus on replacing and repairing damaged products. Singer 4432 is characterized by its heavy duty metal frame. This frame helps in increasing the overall durability of the machine. It also makes the machine very stable. Meanwhile, the stainless steel bed plate on this machine allows the user to maneuver the fabric easily. Hence, you can enjoy even stitching and smooth feeding. This makes sure that the skips and bumps are limited. This also reduces the overall sewing time of the machine and helps save the hassle of going back to fix such mistakes. This machine is incredibly versatile. 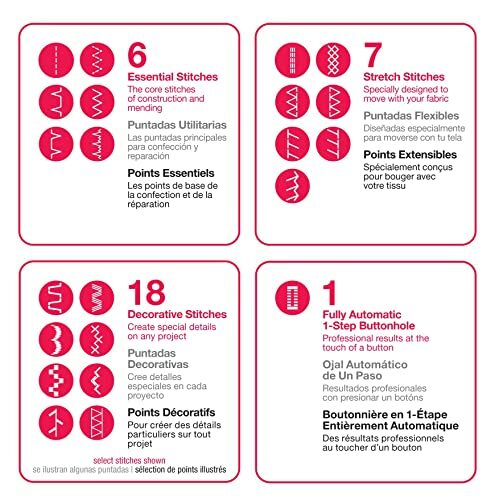 It comes with three needle positions, an automatic needle threader, and adjustable stitch lengths. This automatic needle threading function is ideal for reducing frustration in the eyes. Moreover, the 4432 mixes power and speed together. This machine has a sewing speed of 1,100 stitches per minute. It also has a 60% strong motor that provides this machine with piercing power. This machine has 32 built-in stitches. Out of these 32, six are basic stitches, seven stretch stitches, 18 decorative stitches, and one auto-buttonhole. 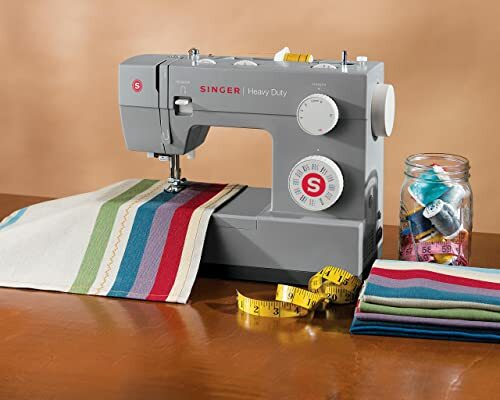 The singer has introduced an app known as Singer Sewing Assistant App. This app is used for techniques, tutorials, and FAQs. You can download it from the AppStore and Google Play both. Now, all the information you need will be accessible to you with a single touch. You can also visit Singer’s site for more direct help and browse their forum in order to connect with other sewers. You can listen to their podcasts for assistance and ideas as well. Singer is known for its incredible customer service. This reflects in this machine and its features. Similarly, the user manual of this machine is very easy to read. However, if you have any trouble, you can always ask for help from the Singer’s help desk. It has a warranty of 25 years, and this shows that the company stands behind their product and is confident. For experts, this machine may feel familiar. Since it is mechanical, it can easily tweak and fix all your problems. This machine is heavy and well made. It is also durable for many products. Moreover, it has a classic style and can fit in various décor environments. Not only is this machine outstanding, but is also very affordable. This machine appeals to students and sewers on a budget. It is also great for beginners hoping to enter the world of crafts. A product can have amazing features and qualities, but when it comes down to using it, they can knock you out. However, with Singer, you do not have to tackle any such issue. This machine is not only easy to set up but is also very easy to use as well. If you are a beginner, then the learning curve of this machine is minimal. This machine comes with a manual, but many users do not use it. Primarily, this is because the machine itself is straightforward and easy to understand. Due to this machine’s metal frame, it is incredibly heavy. So, those planning to travel with a sewing machine must not invest in this one. While most people have a good experience with this machine, some find it not consistent enough. This machine can be weak when dealing with multiple layers of denim or leather. This can cause it to get hung up and not be ideal for experts. Where To Buy Singer 4432? Singer is a very common brand. We have all seen this machine in department stores, craft stores, and on famous TV shows. This brand is a traditional favorite. In fact, it is ideal for users of all backgrounds, skill levels, and age. While it is good to check specialty shops and craft stores, it is no surprise that this machine can be found easily in multiple stores and online. 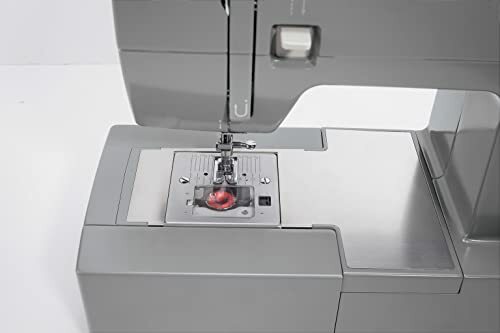 Also, you can find this sewing machine on Amazon. 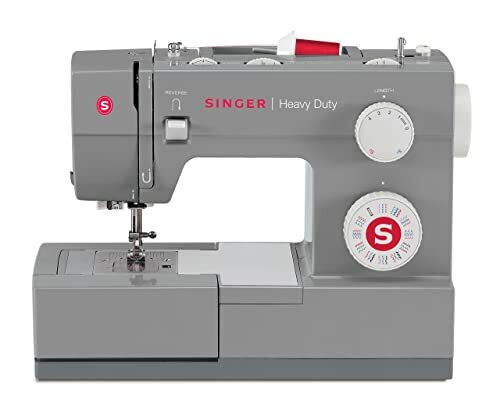 Singer 4432 is a heavy duty machine. It has a nice price point, and it offers good speed and reliability. It also has the trusted name of Singer behind it. Some users find no problem whatsoever while using a variety of fabrics on this machine. However, some find it difficult to use this machine on heavy, stretchy, and thick fabrics. 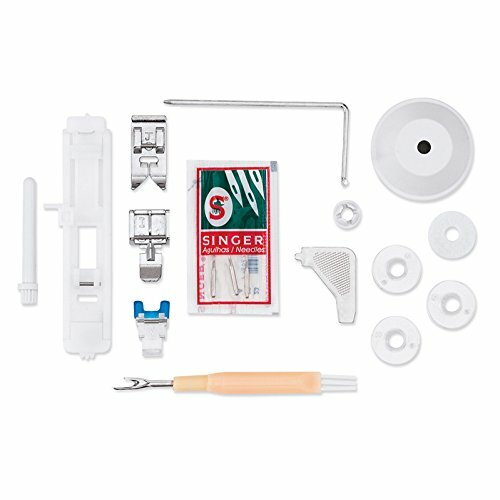 The customer service provided by Singer is professional and can provide help to customers right away. However, this depends on your location as well. 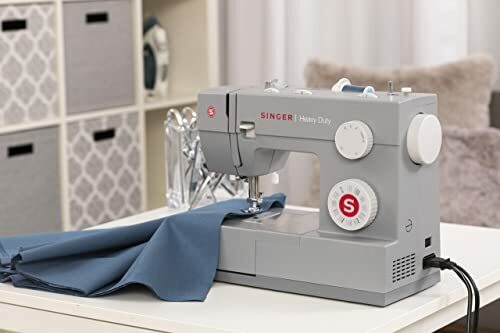 All in all, if you are looking for a fast machine with plenty of resources to get successful at your work, Singer 4432 is definitely worth giving a shot.